The Adventure Guides program focuses on the parent’s roll in the lives of their children including building confidence, forming bonds, and creating lifelong memories. Parents set an example leading children through fun games or activities which parallels the example parents set for children on their path through life. In the early years of a child’s life, the Adventure Guides (AK-5 grades) begin as a side by side journey for parent and child. Investing The Time Is Worth It! Parents can expect to meet once or twice a month for either a smaller Circle activity or a larger event with all Circles present. 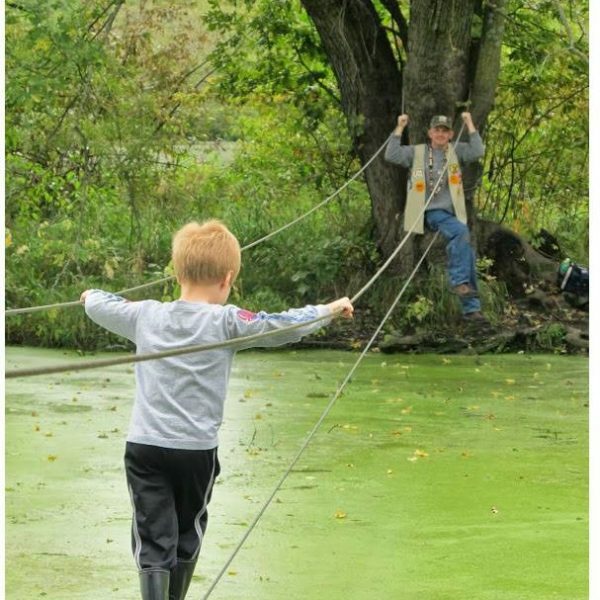 Activities may include educational events, bowling, volunteering, derby car race, and campouts at YMCA Camp Wapsie. Parent volunteers plan and organize activities. With all this fun, there is still time to learn social responsibility. During the campouts, at YMCA Camp Wapsie, each circle collects non-perishable foods to donate to the Marion Food Bank. At one campout, just under 800 items were collected and donated. Additionally, one small circle group volunteered to ring a Red Kettle Bell during the holidays. For more information, contact Camp.